Susan has committed her career to working with and on behalf of children. In addition to her significant involvement with Happy Trails for Kids, Susan has worked as an attorney for children in foster care for the past nine years. She began her career representing abused and neglected children in dependency court proceedings. In April 2011, Susan transitioned from the courtroom to focus on macro level policy changes to benefit youth. She now serves as the Policy Director at Children’s Law Center of California, the public interest law firm that represents over 32,000 boys and girls in foster care in Los Angeles and Sacramento Counties. In this capacity, Susan advocates at the state and local level to ensure the best outcomes for children in foster care. Susan is a graduate of Harvard Law School, with an undergraduate degree from the University of California at Berkeley. Jon is co-founder and partner of Abrams Brown LLP. He previously served as an executive officer and General Counsel at two publicly traded real estate companies, Maguire Properties and Rexford Industrial. Prior to that, Jon was an attorney with Lionsgate Entertainment and the law firm Latham & Watkins LLP. He has handled several pro bono matters in conjunction with Public Counsel and Bet Tzedek, including representing children in adoption hearings, elderly tenants in eviction cases, and the victim of politically-motivated torture in an asylum hearing. Jon holds a Bachelor of Arts degree in Political Science from UC Berkeley. While at UC Berkeley, Jon was a volunteer for Habitat for Humanity and coached a flag football team for at-risk inner city youth in Oakland. He also holds a Juris Doctor from Harvard Law School. While in law school, Jon was the President of the Harvard Law School Big Brother/Big Sister Program. Mark is currently a Real Estate associate with Ballard Spahr LLP, a national law firm of more than 500 lawyers in 14 offices across the United States. Previously, he served as Chief Operating Officer and General Counsel for Conroy Commercial, Inc., a full-service commercial real estate brokerage focusing on the major retail areas in Los Angeles. Prior to his career in real estate, Mark worked for six years in the non-profit sector as the Director of Sport Clubs and Event Management at the University of California, Berkeley, where he supervised over 1,000 student-athletes and 28 different sport clubs. Mark holds a Juris Doctor from Washington University in St. Louis, a Master of Business Administration from the Olin Business School, Washington University in St. Louis, and a Bachelor of Arts degree in Legal Studies from the University of California, Berkeley. Jeff is responsible for leading the execution and negotiation of certain Gores acquisitions and divestitures in the U.S. Prior to joining Gores, he was a Principal in the Private Equity Group of Ares Management in Los Angeles, where he worked on numerous leveraged buyouts and distressed debt investments. Prior to joining Ares, Jeff was an investment banker at Lehman Brothers in the financial sponsors group and prior to that in the mergers and acquisitions group at Wasserstein Perella & Co. He graduated from the Wharton School of the University of Pennsylvania with a Bachelor of Science degree in Economics. Jeff has been involved with Happy Trails since 2011 and on the Board since 2013. 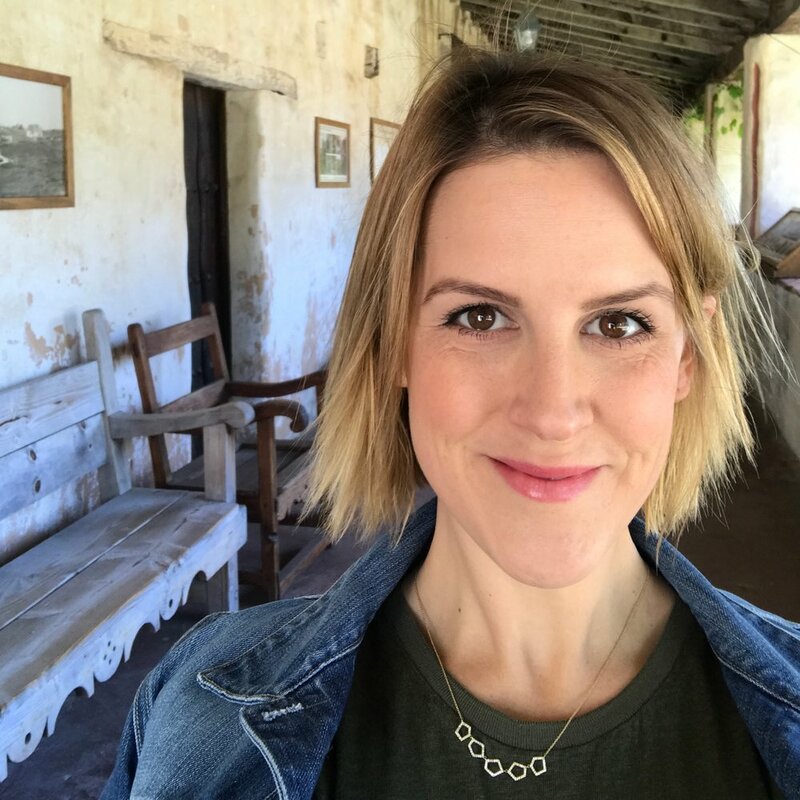 Erika is principal at Erika Frank Interiors a full service interior design firm specializing in residential and commercial projects throughout Los Angeles and beyond. From a young age Erika's architect father and graphic designer mother taught her not only the spirit of creativity but also the spirit of giving back. Erika has been involved in the wonderful Taste of Camp event, Hike-a-Thons and summer camps assisting in event coordination, design, art projects and over all camper-fun! Our program is only as good as our staff. We seek out talented professionals who will establish meaningful and lasting relationships with the children we serve. Several of our staff members have successfully emerged from the foster care system, serving as outstanding role models for the children and making their experiences a resource for our campers. September is a Southern California native from Orange County. She graduated from FIDM with a degree in merchandising and was co-owner of two children’s boutiques for many years. She has always enjoyed working with children. Before joining Happy Trails in 2015, September directed a motivational camp for inner city youth. She has witnessed firsthand what camp and being in nature can do for kids - bringing them peace, giving them joy, and building self-confidence. She particularly enjoys interacting with the kids and seeing the joy on each of their faces when they conquer their fears, try something new, and realize with hard work and perseverance, anything is possible. She has witnessed the bonds and friendships developed at camp and it is her goal to give each child a positive and memorable experience. Each camper she works with has a special place in her heart. At camp and all camp outings, she encourages participation, fun, and friendship. Outside of work, she enjoys spending time outdoors hiking, bike riding and roller-skating with her two daughters and her husband. She also volunteers as a whale watch naturalist during the Pacific grey whale migration. Vincent Stevens is a graduate of Berea College with a B.A in Child and Family Studies. He has always worked in youth programming geared toward underserved "at-risk" urban populations. 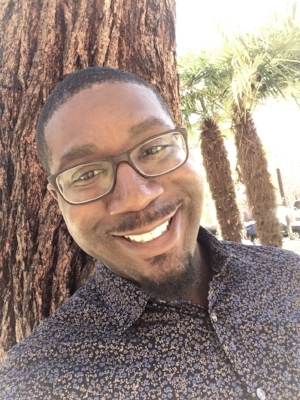 In addition to his work with Happy Trails Camp, Vincent works as the Youth Program Site Director for PATH Ventures, a community founded to help provide long-term housing solutions for those “graduating” from shelters and transitional housing. Vincent has worked with Happy Trails for six amazing years and has had a blast serving in many different capacities. He began as a counselor for the oldest boys and is now serving as Staff Director. Vincent has attended summer camp across the country every year since the age of 9, feels that there is no place quite like Happy Trails. 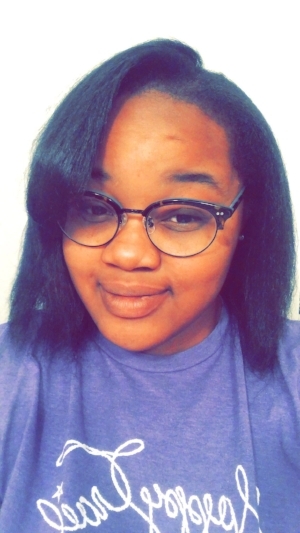 Jasmine is a former foster youth, who is a full-time student at Long Beach City College.. She has been with Happy Trails as a Staff Member for six years, beginning as a Counselor for the oldest campers. She has also served as Director of the Junior Counselor program before becoming Activities Director in 2015.